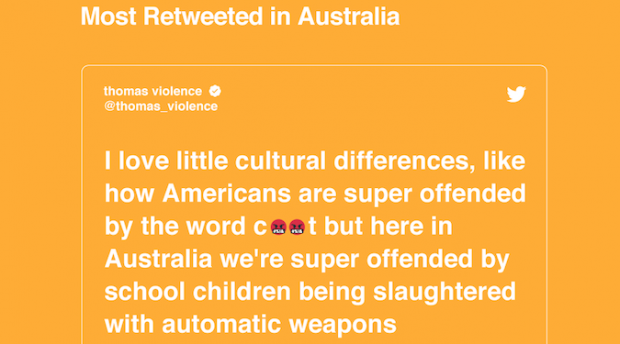 Twitter has released its review of the most talked about brands, hashtags, people and issues in Australia on the platform. 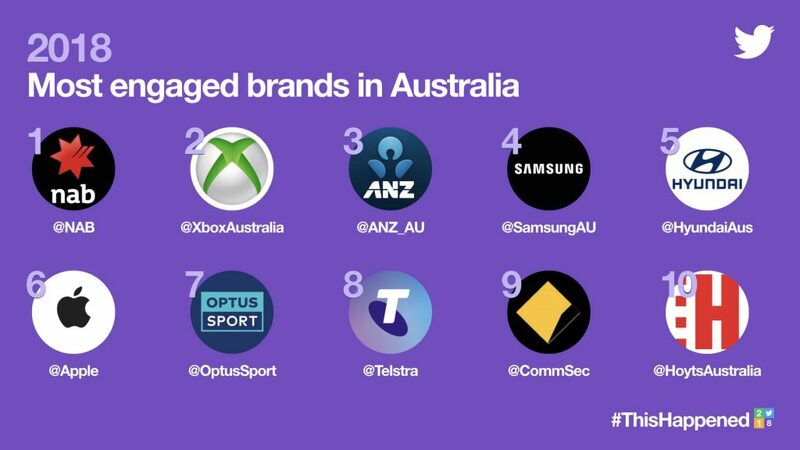 NAB took out the number one spot this year as Australia’s most engaged with brand on Twitter. In May the bank’s chief economist Alan Oster hosted a live stream on Twitter as the 2018 Federal Budget arrived, explaining what it would mean for every Australian. 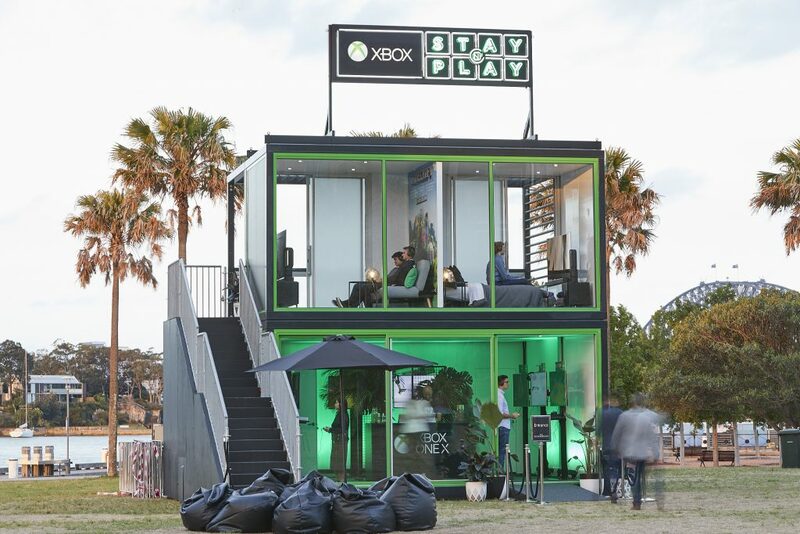 Following NAB was Microsoft owned Xbox Australia, which “delighted gamers with news on the latest games and events,” says Twitter. The second of three banks that appeared in Twitter’s top 10 brands was ANZ, arriving in third place. In 2018 ANZ returned with its sponsorship of the Sydney Gay and Lesbian Mardi Gras with the supporting hashtag #SoMuchYAY. 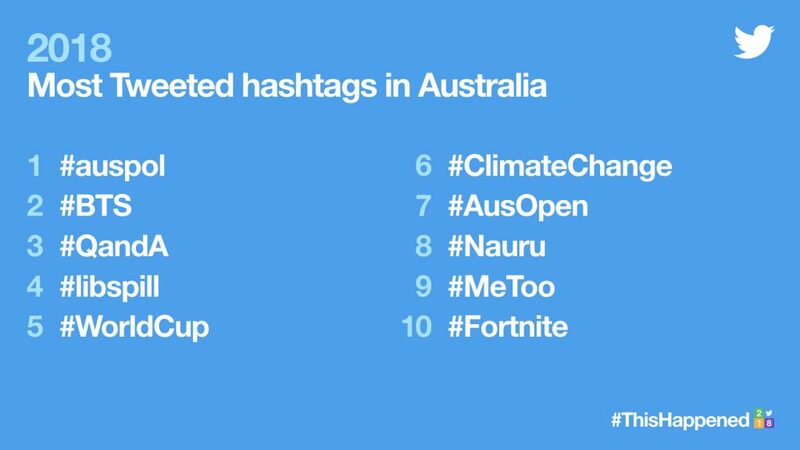 #AusPol dominated the country’s most used hashtags yet again, for the fifth year in a row. Political issues took up more than half of the conversation on Twitter this year, with #QandA, #libspill, #ClimateChange, #MeToo and #Nauru also appearing in the top 10. On the less serious side of things, the renaissance of K-pop in Australia made its presence very clear. 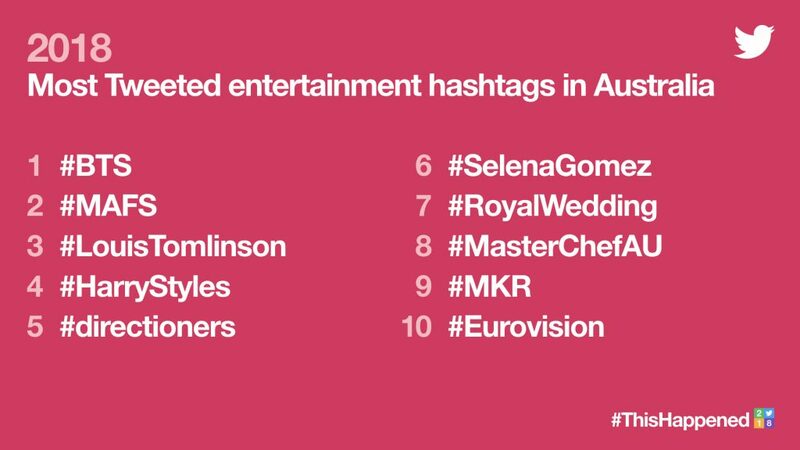 Korean boy-band #BTS took the second spot in Australia’s most used hashtags and was also Australia’s most tweeted entertainment hashtag – beating out even #MKR, #HarryStyles and the #RoyalWedding.